An 11-year-old Camden girl who was purposefully shot in the face by her father Thursday night may be paralyzed after the incident. The shooting occurred around 9:30 pm in a rowhouse on the 1300 block of Thurman Street in the Whitman Park section of Camden. The girl's father, Byaer Johnson, 26, was at the residence to visit the her when he pulled out the gun and placed it on the floor. When he was asked to leave he picked it up pointed it at his daughter and shot her directly in the face. He then pointed it at another man in the house but it jammed. 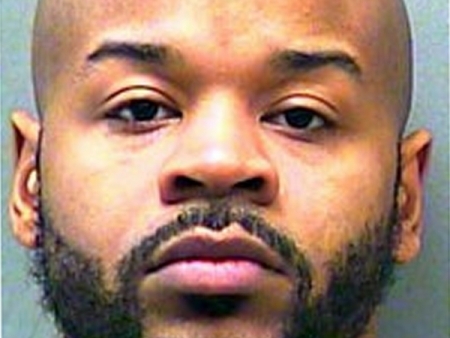 That man, 28, wrestled the gun away from Johnson and shot him in the rear. Johnson was arrested nearby, fighting police as they tried to take him in. The girl, nicknamed “Yassy”, is in critical but stable condition at Cooper University Hospital. Johnson is charged with attempted murder and weapons violations. U.S. Rep. Bob Brady has starting meeting with business and civic leaders to find a way to save the Philadelphia International Bike Championship for 2013. Last week race organizer Dave Chauner announced they would have to cancel the 29th annual competition because they lost sponsor support, but hoped to have it back in 2014. "It's my feeling that if you lose '13, '14 is going to be tough to get back," Brady said. Brady has helped generate support for other Philadelphia events such as the Dad Vail regatta and Mummer's Parade. The race format would likely change for a 2013 rendition of the competition, such as a shorter course, more loops through Manayunk, or even an amateur component. City Council members James F. Kenney, Mark Squilla, Curtis Jones Jr. and Dennis O'Brien are on board with Brady's efforts as well as Jane Lipton, executive director of the Manayunk Development Corp. They are hoping to determine the viability of saving the race in the next couple of weeks. The race was originally scheduled for June 2, 2013. The National Chicken Council (yes, that exists) has dismissed the rumored reports that there will be a chicken wing shortage leading up to the Super Bowl next weekend February 3rd. Area restaurants and takeout places will be fully stocked and ready to take your orders for wings whether traditional buffalo style or bbq, honey mustard, or some other unique flavor. The price per pound for chicken wings are at a 20 year high. They hit a 20 year low in 2011. Snow ending, 1-3 inches total accumulations. Clearing skies overnight. Low 19.